I'm not kidding. This exists. 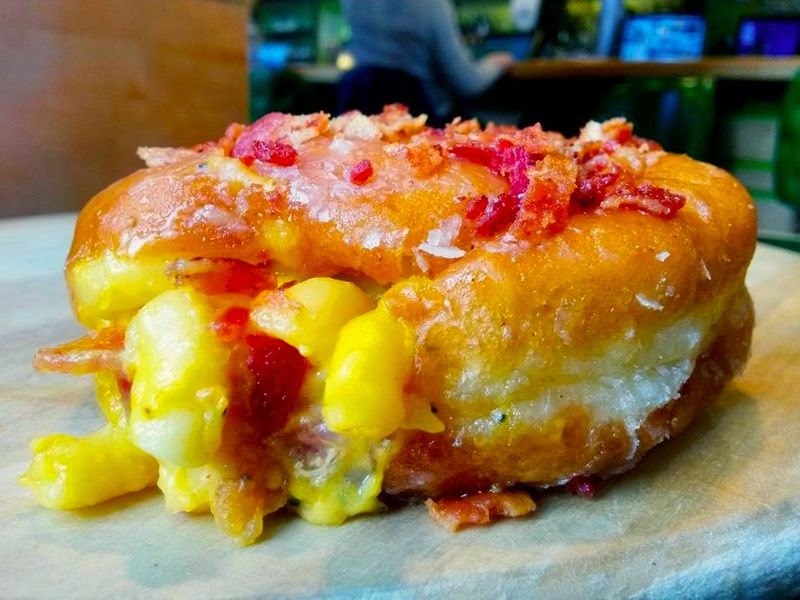 I can't find it on the online menu, but at some point in the recent months, PYT of Philadelphia had a Bacon Mac & Cheese Donut available to order. I stumbled upon this quick blurb on Eater.com. I'm not even sure what to make of this, but the fact that it exists is just mind blowing. How? How did someone think of this, let alone make it?